Using a quality virus removal tool. DOWNLOAD SAGE 2.0 VIRUS REMOVAL TOOL. The new Sage 2.0 ransomware is an updated version of the original Sage malware. It uses the same behavior patterns by encrypting target user files and extorting the victims for a big ransomware payment. This iteration of the virus requests the amount of 2000 US Dollars in Bitcoins. If the user does not pay within 7 days of infection this amount is doubled. All your important and critical files as well as databases, images and videos and so on were encrypted by software known as SAGE! 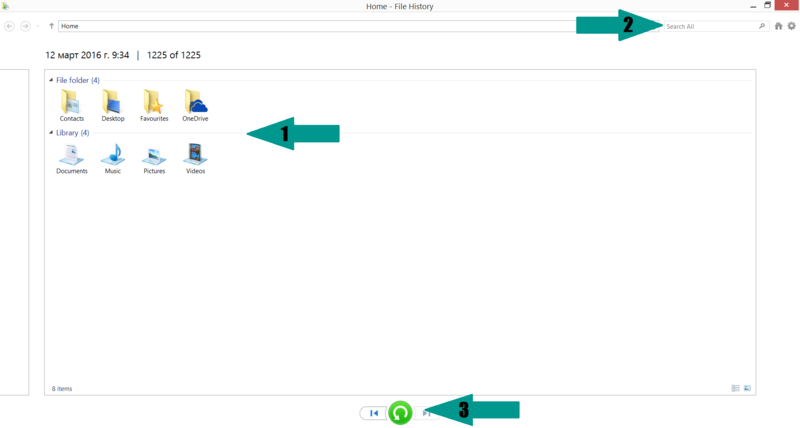 SAGE 2.0 uses military grade elliptic curve cryptography and you have no chances restoring your files without our help! But if you follow our instructions we guarantee that you can restore all your files quickly and safely! Furthermore, Sage 2.0 runs the command vssadmin.exe delete shadows /all /quiet to remove all shadow volume copies saved on the PC and prevent one of the possible ways for file restore. The values in these keys control the processes that start at every system start. The dangerous characteristic of the Sage 2.2 ransomware is the fact that the virus can open a network port on the compromised machines which is used for remote control actions. Depending on the used configuration the strain can drop different types of files – dll’s, executables, image files and etc. The Sage 2.0 ransomware is primarily distributed using spam email campaigns. The current iteration of the virus was detected in emails that carried no subject lines and no body message contents. The only data that they carry was a zip archive that contains a Microsoft Word document file. If the users open it, they will see a message saying “Document created in an earlier version of Microsoft Office Word. To view this content, please click ‘Enable Editing’ from the yellow bar and then click ‘Enable Content'”. This engages the macro which downloads the Sage 2.0 ransomware onto the victim computer. In some of the cases, the Word document can be substituted for a .js file as well. By default, the infected victim will be shown an UAC window which requests for elevated privileges. Until the victim acknowledges the request, the window will continue spawning. In addition, the Sage 2.0 ransomware will also delete all Shadow Volume copies of the infected machine. You can skip all steps and remove Sage 2.0 ransomware with the help of an anti-malware tool. 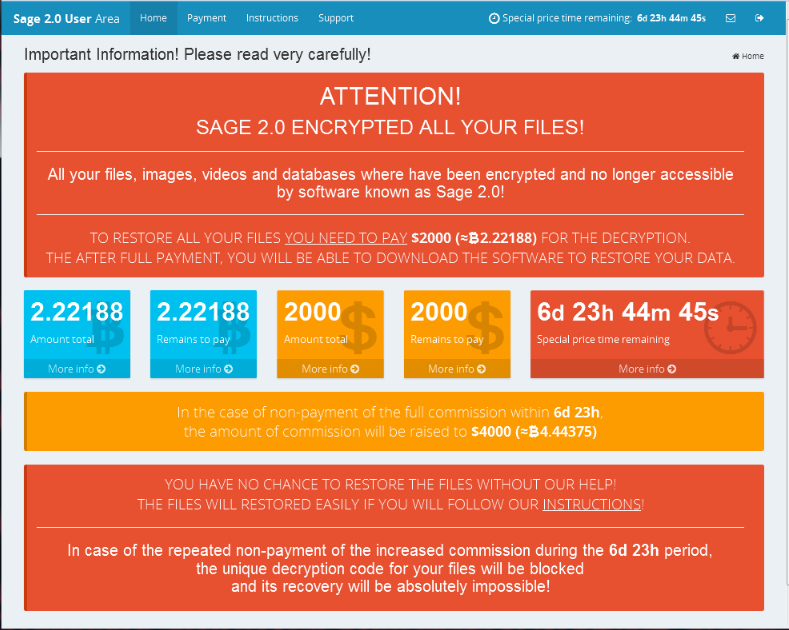 Sage 2.0 ransomware can be removed manually, though it can be very hard for most home users. See the detailed tutorial below. The Sage 2.0 ransomware is ranked as a persistent ransomware threat. This is a new iteration of the old malware code and we suspect that more strains may be created in the future. As such it is very important to use a trusted anti-spyware utility to remove active infections and be able to protect your computer in the future. The problem of getting Sage 2.0 isn’t limited to this singular case of infection. Ransomware viruses like this are distributed all throughout the Internet. Our initial assessments of the virus were correct, and the best way to prevent further problems with Sage 2.0 is to get an anti-malware tool. As we said, there are dozens of ways to contract ransomware – in email spam, malicious websites, torrents trackers; you name it. A ransomware infection is much more costly than an anti-malware tool. Even if you don’t pay the ridiculous ransom, it’ll likely cost a lot more in damages. Manual removal of Sage 2.0 requires being familiar with system files and registries. Removal of any important data can lead to permanent system damage. Prevent this troublesome effect – delete Sage 2.0 ransomware with SpyHunter malware removal tool. For a faster solution, you can run a scan with an advanced malware removal tool and delete Sage 2.0 Ransomware completely with a few mouse clicks.